Happy Chinese New Year from Kuree and Zedrael! 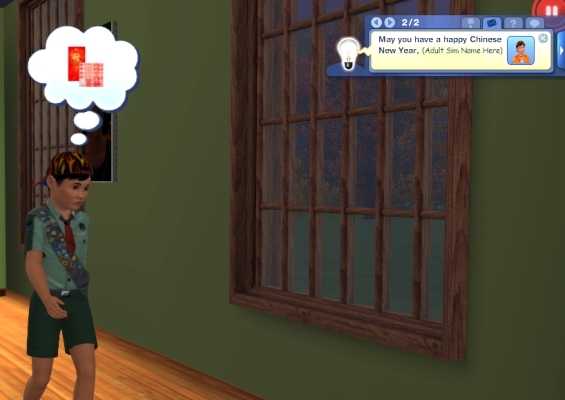 Give a Hong Bao to your favorite child sim as a New Years gift! 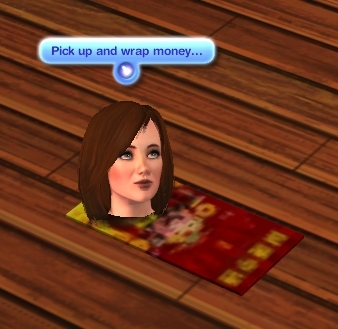 After your sim completes this task, the Hong Bao will now be in your sims inventory. 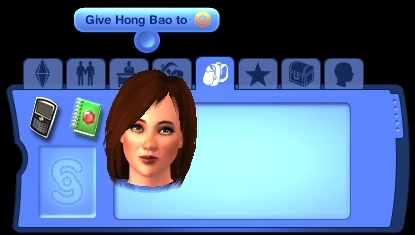 Go to that sims inventory and click "Give Hong Bao To" (Note: you MUST have a child sim on the lot for this to work, otherwise your sim will abandon the interaction) a box will pop up with a list of child sims on the lot to choose from. Select the child sim that you want to give the Hong Bao to. 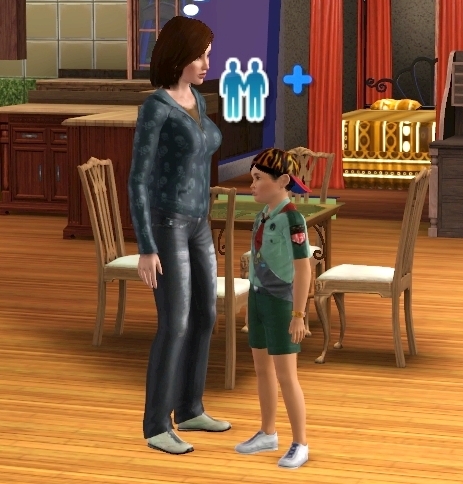 Once you've chosen a child sim to give the Hong Bao to, your adult sim will go to the child sim and give them the gift! 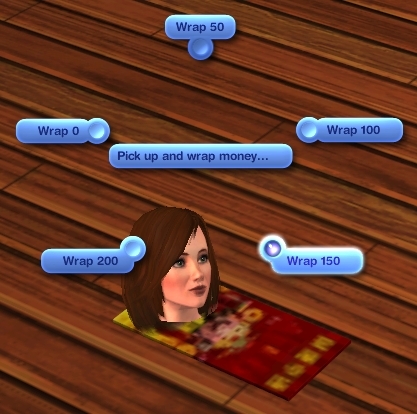 The amount of simoleans that you wrapped in the Hong Bao will now go into the child sims family funds! 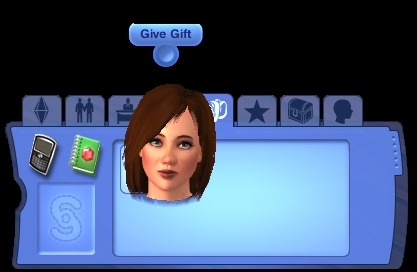 You can also drag and drop the Hong Bao into a sims inventory, and click "give as gift" (Note: Doing this will make the Hong Bao a deco item only and sims will not be able to wrap money in it anymore). 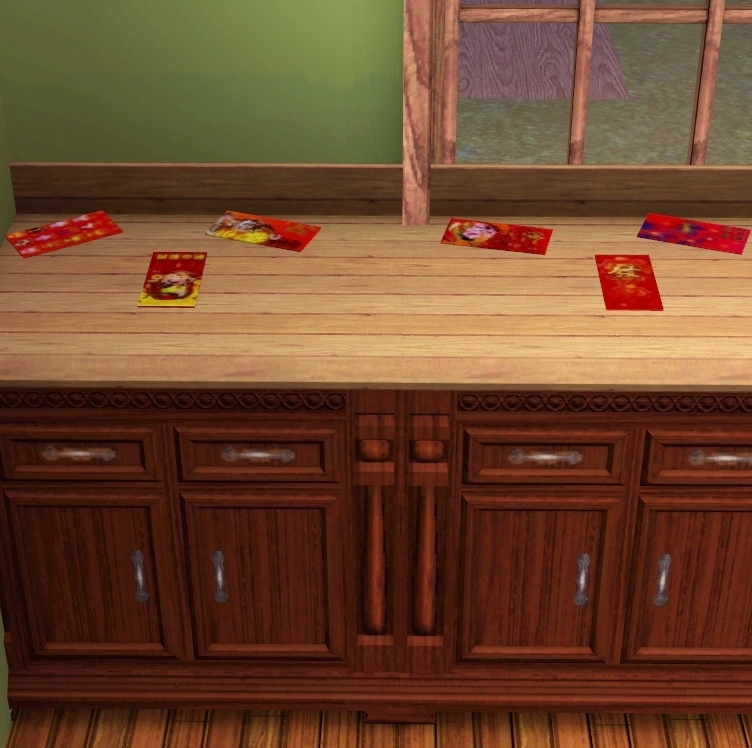 Sims can re-gift the Hong Bao indefinitely this way! 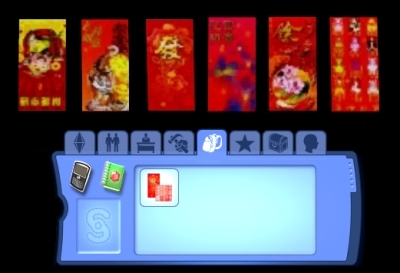 You can even place the Hong Bao as a deco item on tables and counters, showing off all 6 fun and colorful presets! This is NOT a replacement object. This is a functional & decorative object. Please follow the directions stated above for optimal object performance. Found in Buymode: Deco/Misc. Thanks to Kuree for writing the script for this object, and to Zedrael for making the mesh & textures!